Safety: Contained in a sealed battery case, the product has a short-circuit protection, LED light head lamp and anti-static housing which makes it explosion proof. The miner's lamp is CE Certified for use in explosive atmospheres such as coal mines. Reliability: Tough housing, optimized design, a solid LED light that uses high efficient IC drivers guarantee the product is durable and strong. The durable Li-ion battery has an over charge protection system to protect the battery from over charging. The cap lamp is suitable for operation under harsh mining conditions. Efficiency: LED light provides bright, clear, white light. The minimum luminous intensity is 7000-10000lux (at a distance of 1m). The quality of the light is maintained throughout the entire discharge cycle which lasts up to 15 hours. The battery has a life cycle of 1200 charges and discharges. Environmental: The cap lamp is made from environmentally friendly Li-ion battery and other non hazardous materials. 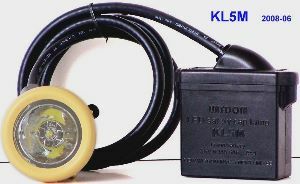 The KL5M is an environmentally friendly product as per RoHS Directive. 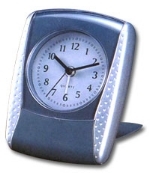 Economy: The cap lamp incorporates an environmentally friendly LiMn2O4 battery as a power source. The light is an efficient, high powered LED with a service life of over 30,000 hours. 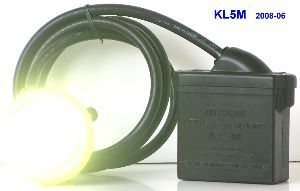 With no need to replace incandescent globes the KL5M eliminates the cost of labor and replacement parts associated with traditional lead acid batteries.